A year ago, I wrote that the province’s move to raise the property transfer tax on foreign nationals’ purchases of residential real estate was good policy implemented badly. “Of all the ham-fisted ways to implement a tax, the province found one that seemed calculated to cause the most angst and uncertainty,” I wrote at the time. One year later, it’s clear that the tax had a short-term impact on sales activity, but housing prices haven’t come down. 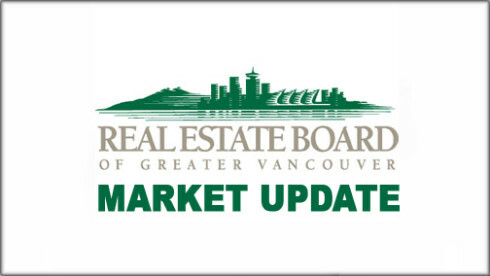 The latest figures from the Real Estate Board of Greater Vancouver indicate that the benchmark price for residential properties in Greater Vancouver surpassed $1 million in July 2017 for the first time ever. This is up from $930,400 in July 2016. Vancouver Westside real estate prices have barely budged, with the benchmark sitting at $1.34 million in July 2016 versus $1.26 a year earlier. A glance at median sale prices in the neighbourhoods I focus on – Point Grey, Kitsilano, Dunbar and UBC – underscores the phenomenon. Prices remain beyond the means of many buyers despite a slower pace of sales. Just 425 detached homes sold in the latest 12 months, down from 776 a year earlier. Sales also took slightly longer, the median property sold in 15 days versus 11 days a year ago. The median price remained unchanged at $3.2 million. Perhaps more disconcerting, the median price for attached homes – the most affordable option for buyers – leapt 20% to $819,000 in the 12 months ended July 31, 2017. This compared to $682,400 in the previous year. Buyers were clearly keen to buy, scooping up properties in nine days rather than 12. Yet even here, fewer sold – 987, versus 1,278 a year earlier. Government officials continue to wrestle with how to address the issue. Pundits point to the need for greater supply, yet demand for Westside real estate isn’t limited by local incomes. Moreover, many properties here have long been beyond the means of the average buyer. Government interventions over the past year have done nothing to change that. With a new government at the helm in Victoria, those in charge must understand that housing demand in Vancouver is at unprecedented levels. The story’s the same regardless of neighbourhood, whether for full-time or seasonal occupancy, for purchase or rent. Boosting supply in a world-class setting that’s relatively affordable by global standards feeds rather than satisfies demand. All levels of government need to recognize is that Vancouver is maturing into a city that attracts people. Stable government, a pristine setting, and youthful city are all points in our favour. Add in proximity to Asia, and the result is a pace of change faster than most cities in Canada have ever experienced. Politicians need to recognize that Vancouver can’t accommodate everyone. Metro Vancouver expects an extra million people by 2030. They won’t all live on the downtown peninsula, nor the Westside. Some will have to settle for an address in Burnaby, Surrey, or beyond. Restrictions on what foreign buyers can purchase here aren’t about to go away. Government needs to make sure that it acts to prevent just as powerful restrictions on what locals can buy as demand for local real estate continues.